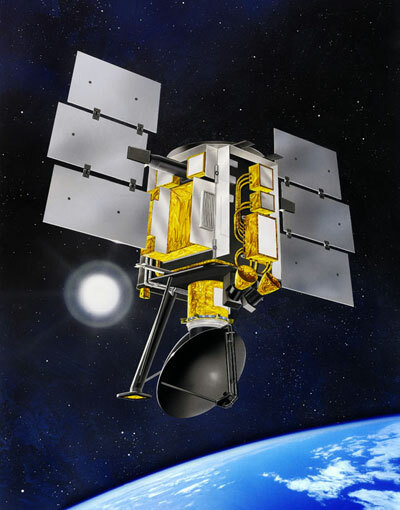 Launched in 19 June 1999, QuikSCAT was designed to be a “quick recovery” EOS satellite mission to fill the gap of global ocean surface wind vector observations which resulted from the unexpected failure of NSCAT in June of 1997. The SeaWinds scatterometer on QuikSCAT began producing science quality data on 19 July 1999. Since launch, the SeaWinds instrument provided consistent, high quality data covering more than 90% of the ice-free oceans every day for more than 10 years. On 23 November 2009 (orbital rev number 54315), 7:07 UTC, the QuikSCAT antenna stalled to 0 RPM, and has remained stalled in a fixed-azimuth position since that time, with some exceptional brief periods in 2013 where the antenna began to spin. During this "non-spinning" mode, Level 2A (L2A) science data was not retrievable; hence the Level 2B (L2B) wind vectors were likewise also not retrievable. SeaWinds – A Ku-band (13.4 GHz) Scatterometer featuring a circular dish antenna, which provides pencil-beam radar backscatter measurements. It’s primary purpose is to provide all-weather ocean surface wind vector measurements over the ice-free global oceans.